Modern scholarship has effectively demonstrated that, far from being a knee-jerk reaction to the challenges of Protestantism, the Catholic Reformation of the sixteenth and seventeenth centuries was fuelled primarily by a desire within the Church to reform its medieval legacy and to re-enthuse its institutions with a sense of religious zeal. In many ways, both the Protestant and Catholic Reformations were inspired by the same humanist ideals and though ultimately expressed in different ways, the origins of both movements can be traced back to the patristic revival of the fifteenth and sixteenth centuries. Nevertheless, it is undeniable that many contemporaries, and subsequent historians, came to view the Catholic Reformation as an attempt to challenge the Protestants and to cut the ground from beneath their feet. 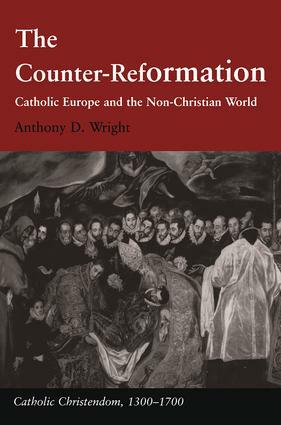 In this new revised edition of Dr Wright's groundbreaking study of the Counter-Reformation, the wide panoply of the Catholic Reformation is spread out and analysed within the political, religious, philosophical, scientific and cultural context of late medieval and early modern Europe. In so doing, this book provides a fascinating guide to the many doctrinal and interrelated social issues involved in the wholesale restructuring of religion that took place both within Western Europe and overseas. Contents: Preface to the revised edition; Preface; Introduction: The Counter-Reformation and Augustinian Europe; Religion and magic in Augustinian Europe; Scholasticism and science; New problems of Catholic expansion; Religious divisions and political similarities; Catholic reform and Augustinianism; Puritanism of the right and Baroque effect; Conclusion; Revised bibliography; Index. Dr Anthony D. Wright is Reader in Ecclesiastical History at the University of Leeds, UK.